Over the years, I’ve been asked many times about the wording of Genesis 1:28 (and similar verses) in The Authorized Version of the English Bible (commonly called The King James Version), which seems to imply that there was a previous civilization on earth, before the one started by Adam and Eve. 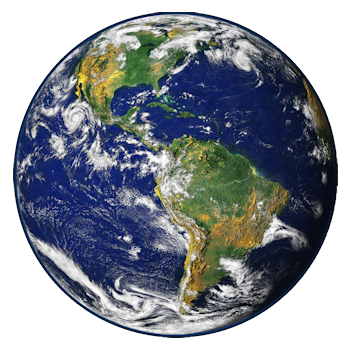 “If not,” I’m asked, “why does God tell them to replenish the earth?” The people that ask this question are in good company, because even scholars and academics have asked this same question for more than two hundred years. Since Creationism theorizes a six-day production period, they needed a solution to explain the new scientific observations involving the age of the earth and the new large animal and exotic plant fossil records being discovered. A new concept of gap Creationism or ‘Gap Theory’ evolved. 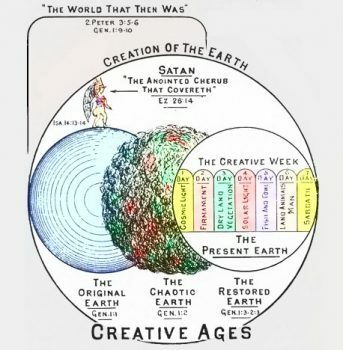 Simply put, “there was a gap of time [millions of years] between two distinct creations in the first and the second verses of Genesis.” A previously created civilization grew and was then supposedly destroyed. Needless to say, this Gap Theory was a perfect explanation for the need to have Adam and Eve replenish the Earth, as stated in Genesis 1:28. This Gap Theory was very popular at the beginning of the twentieth century and was promoted by C. I. Scofield’s The New Scofield Reference Bible. Scofield’s notes suggested Genesis 1:1 relates to a prior creation ruled by Satan before his fall. This “had the advantage that it allowed for the universe and earth to be old, but the days of Genesis to be recent. Anything that did not fit into a recent earth (e.g., geological strata, dinosaurs) could just be shoved back into the first creation.”3 Now it appears, to some extent, that this Gap Theory is resurfacing within certain modern churches. Now, it is only fair to offer a slightly different version of the “Gap Theory,” one that was taught by author and Bible teacher Chuck Missler (1934-2018). He said there was evidence elsewhere in the Bible of a gap in time, implying two separate earthly creations. Using verses in Isaiah, Jeremiah, and the Psalms, he implied some Hebrew words were inaccurately translated. He also suggested that verses in Jeremiah 4 were a proof of God’s anger causing the first creation to be destroyed. “I beheld, and, lo, there was no man, and all the birds of the heavens were fled. 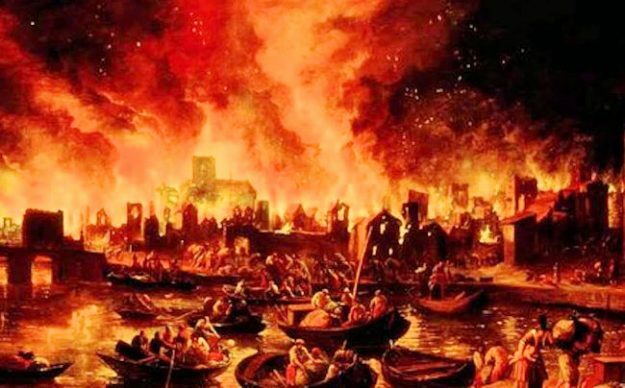 I beheld, and, lo, the fruitful place was a wilderness, and all the cities thereof were broken down at the presence of the LORD, and by his fierce anger” (Jeremiah 4:25-26, KJV). Why has this problem only surfaced recently? 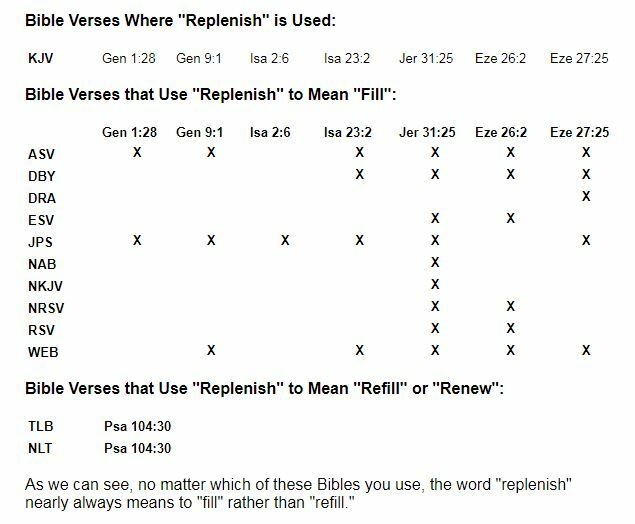 If this word “replenish” has only been a problem since the science of geology brought it to the forefront within the last few hundred years, why was it not found to be a problem before then? Could it be that it is a translation problem? Most modern Bible translations used today use the English word fill, instead of replenish. “God blessed them, and God said to them, ‘Be fruitful and multiply, and fill the earth and subdue it; and have dominion over the fish of the sea and over the birds of the air and over every living thing that moves upon the earth’” (Genesis 1:28, NRSV). Also, see similar use in: ESV, NET, NKJV, NLT, RSV. The evidence has been presented and it is your choice as to what to believe. But for me, at this time, the word “replenish” in Genesis 1:28 (and similar verses) printed in The King James Version, as well as some other versions, definitely means “fill.” While I truly believe that science is not the enemy of faith and that science and Christian doctrine can be accommodated together, this does not mean that twisting scripture to fit current scientific theory, is the way to do it. The Authorised Version of the English Bible, (London: Cambridge, at the University Press, 1909), [The 1900 Authorized KJV, Cambridge edition]. Walton, John H., The Lost World of Genesis One: Ancient Cosmology and the Origins Debate, (Downers Grove, IL: IVP Academic, 2009), p. 111. Ross, Allen P., Creation and Blessing: A Guide to the Study and Exposition of Genesis, (Grand Rapids, MI: Baker Books, 1998), pp. 718–719. Walton, John H., The Lost World of Genesis One: Ancient Cosmology and the Origins Debate, (Downers Grove, IL: IVP Academic, 2009), p. 112. Ryrie, Charles Caldwell, Basic Theology: A Popular Systematic Guide to Understanding Biblical Truth, (Chicago, IL: Moody Press, 1999), pp. 210–211. Note: Uniformitarianism – The belief that geological processes are essentially unchanged today from those of the unobservable past, and that there have been no cataclysmic events in earth’s history. Morris, Henry M., The Genesis Record: A Scientific and Devotional Commentary on the Book of Beginnings, (Grand Rapids, MI: Baker Books, 1976), p. 76. Strong’s Hebrew #4390: מָלֵא mâlê˒, maw-lay’; a prim. root, to fill or (intr.) be full of, in a wide application (lit. and fig. ):— fill, fulfil, full. Strong, James, The New Strong’s Complete Dictionary of Bible Words, (Nashville, TN: Thomas Nelson Publishers, 1996).